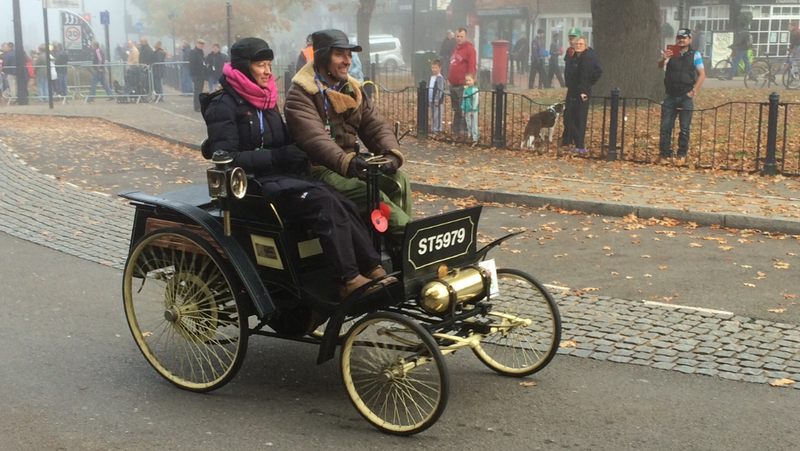 London to Brighton Veteran Car Run: turning its back on Crawley? 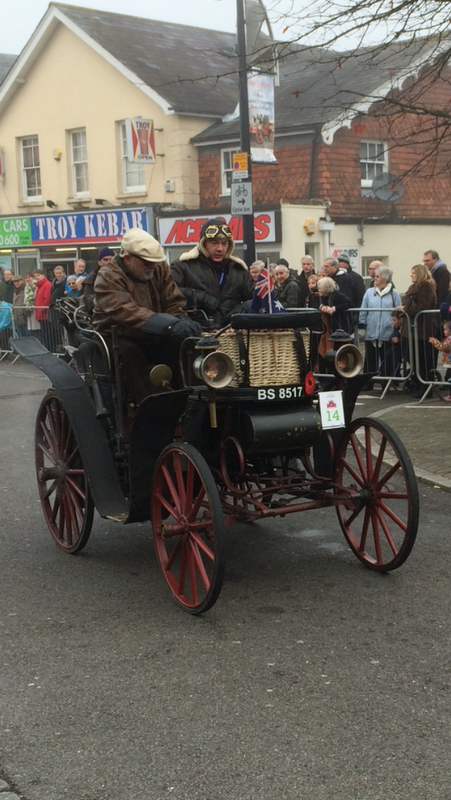 I love cars, whether they are steam powered old crocs from the Victorian era or modern supercars. I am, however, very aware that many people do not share my passion. Indeed there are many who have an irrational hatred for cars. 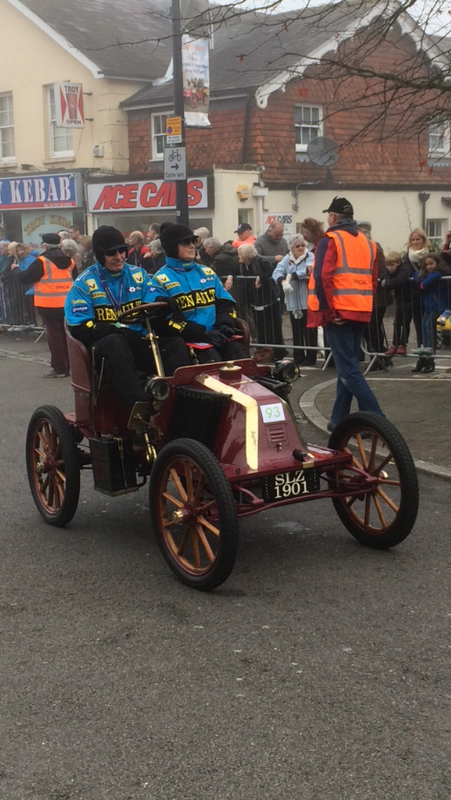 The recent attempt by Green Party run Brighton Council to cancel the city’s famous 100-year-old speed trials is a manifestation of that. 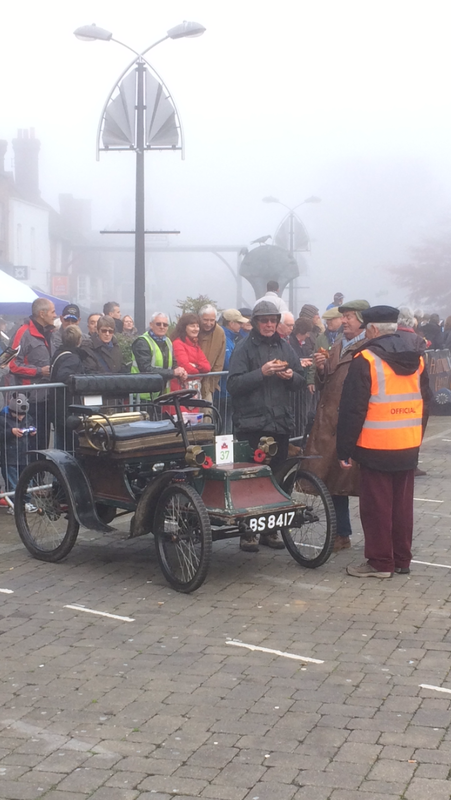 As such it is imperative that those organising motoring events give no excuse to the car haters to further restrict our hobby. 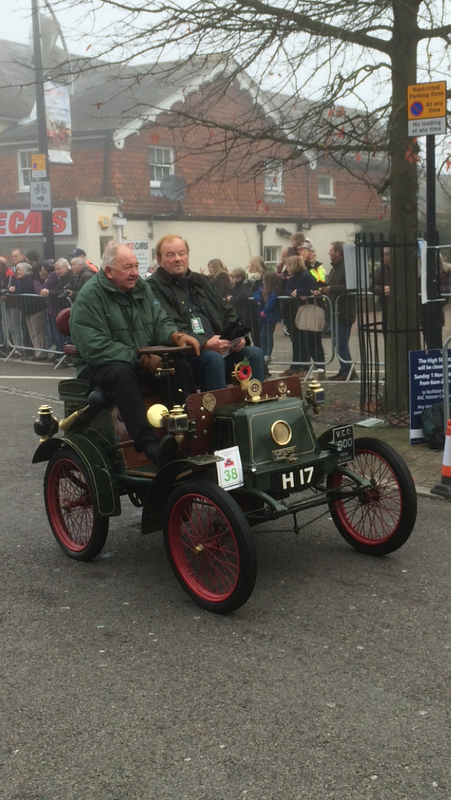 I have been watching the London to Brighton veteran car run for many years. 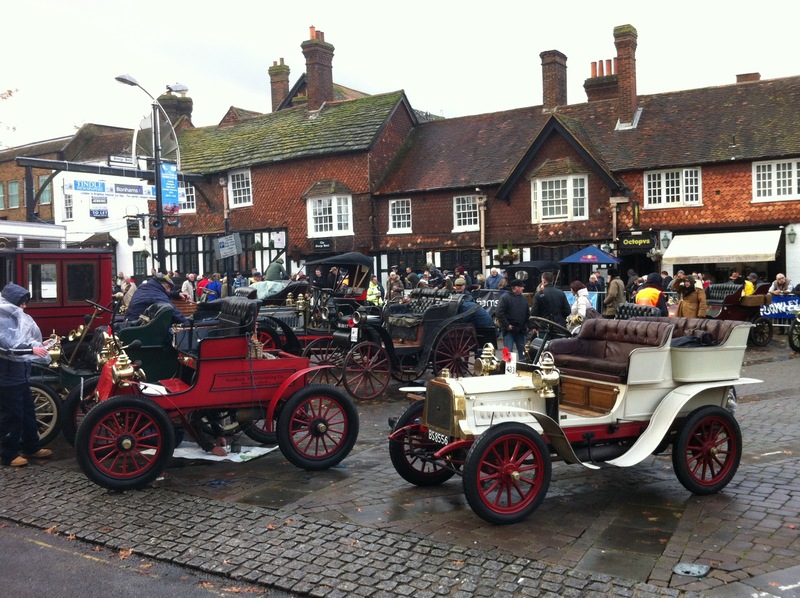 On the relevant Sunday in November I get up early, braving drizzle and cold, and head to the High Street in Crawley, Sussex, the halfway stop for the veteran cars on the run from Hyde Park in London to Madeira Drive in Brighton. Crawley is an uninspiring new town built around an old mediaeval core centred on the High Street. 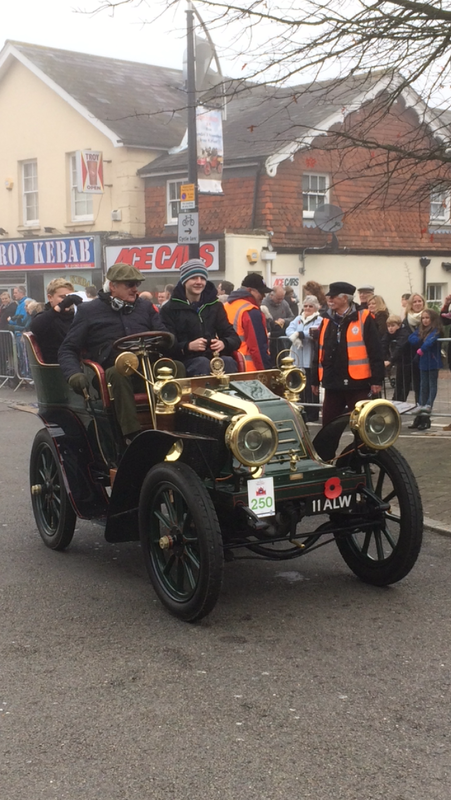 The town has suffered in the last decade or two, but has recently made a significant effort to regenerate its town centre. 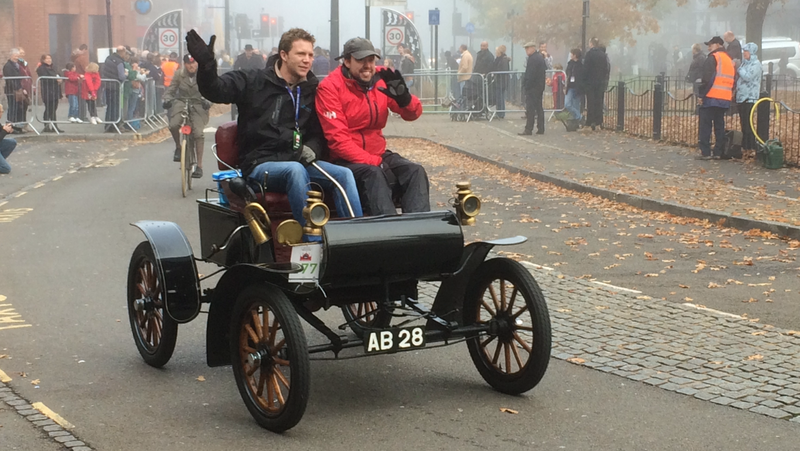 One of its showcase events has long been the London to Brighton run. 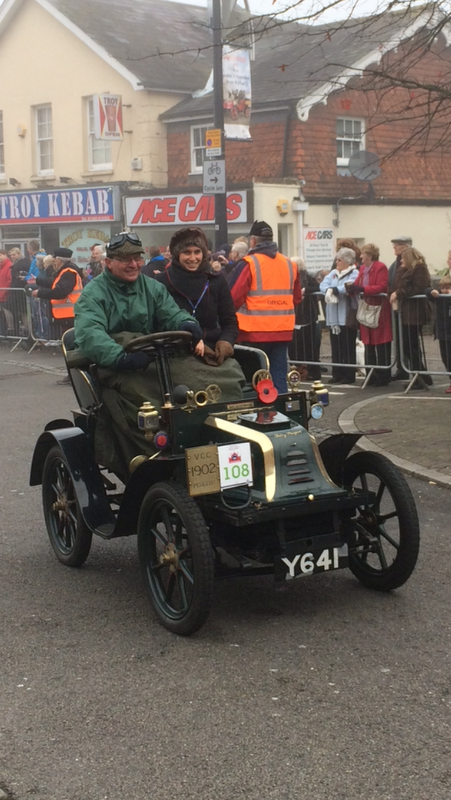 In years past the council has shut off traffic to the High Street allowing the veteran cars to pull up in front of the old George Hotel where the crews were able to take a well earned break and warm themselves up with coffee and hot chocolate. 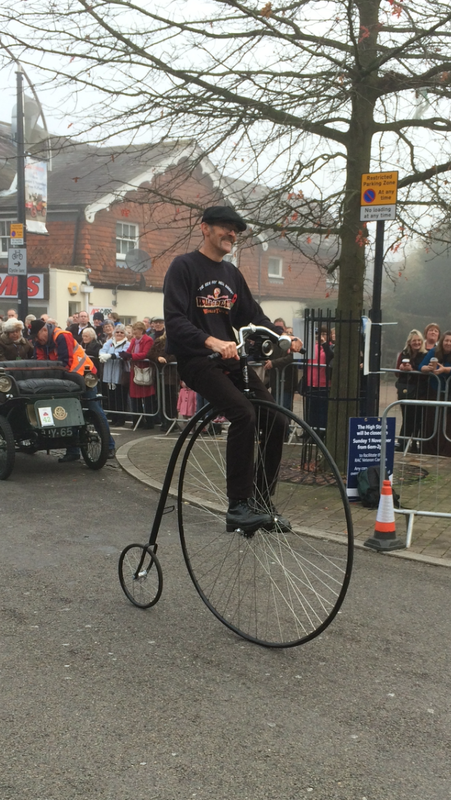 There was always plenty of room for the public to come and watch, which they did in their hundreds. 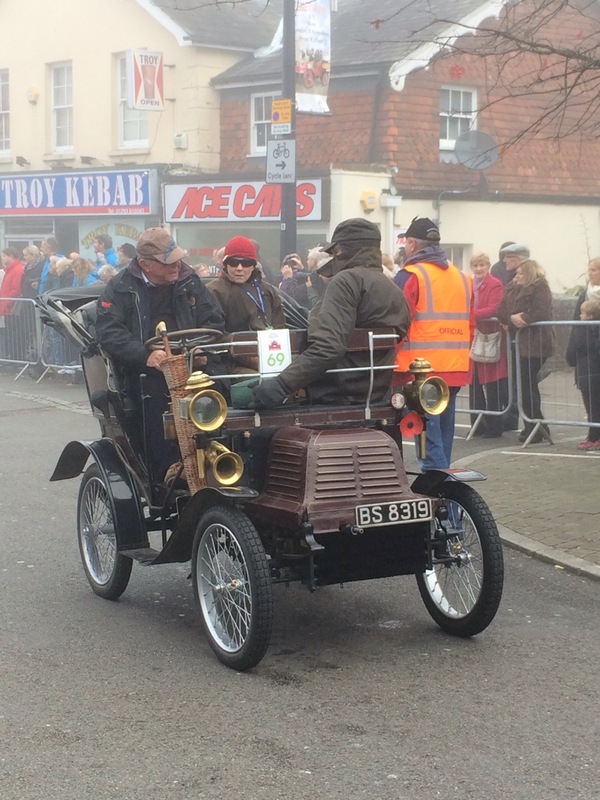 In addition the local scout troop set up a tea tent and served good value bacon sandwiches, earning funds for themselves and local charities and at the same time providing spectators with something hot on a usually bitterly cold day. 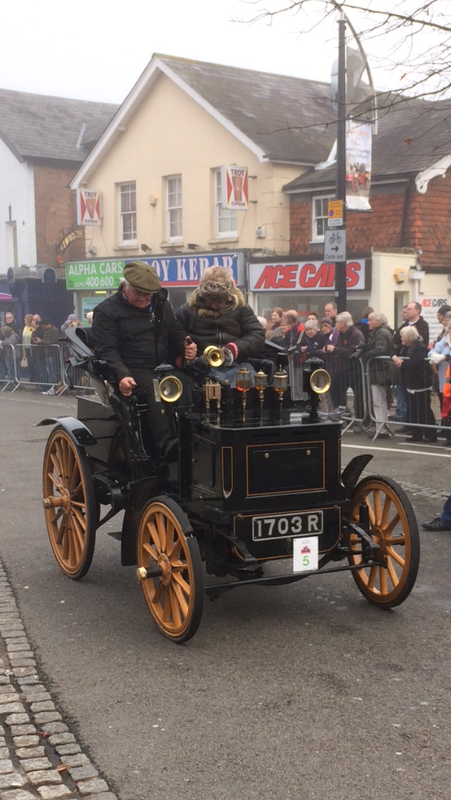 The local radio station would also attend to broadcast live from high street and there was a real feeling of community engagement and pride in the event. 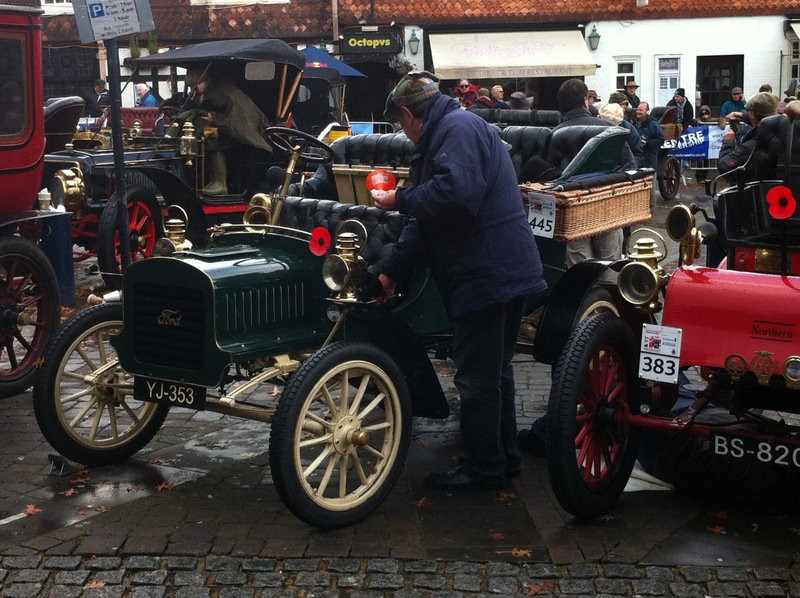 The old cars looked great hissing and clanking past the medieval buildings and off on their journey to the South. The stop at Crawley as it used to be. Contrast with the image of the Honda garage below from this year. Good views for the public in previous years. The Scouts tea tent from previous years – great bacon sandwiches too! 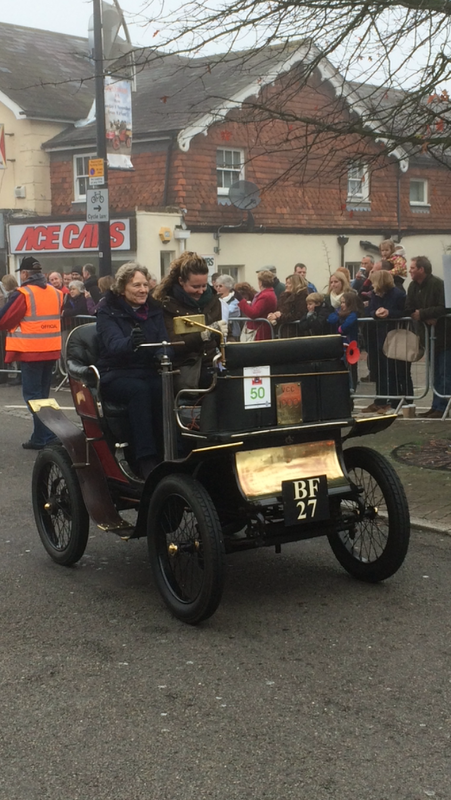 I was horrified to find that this year the run would not be stopping on the High Street in Crawley. 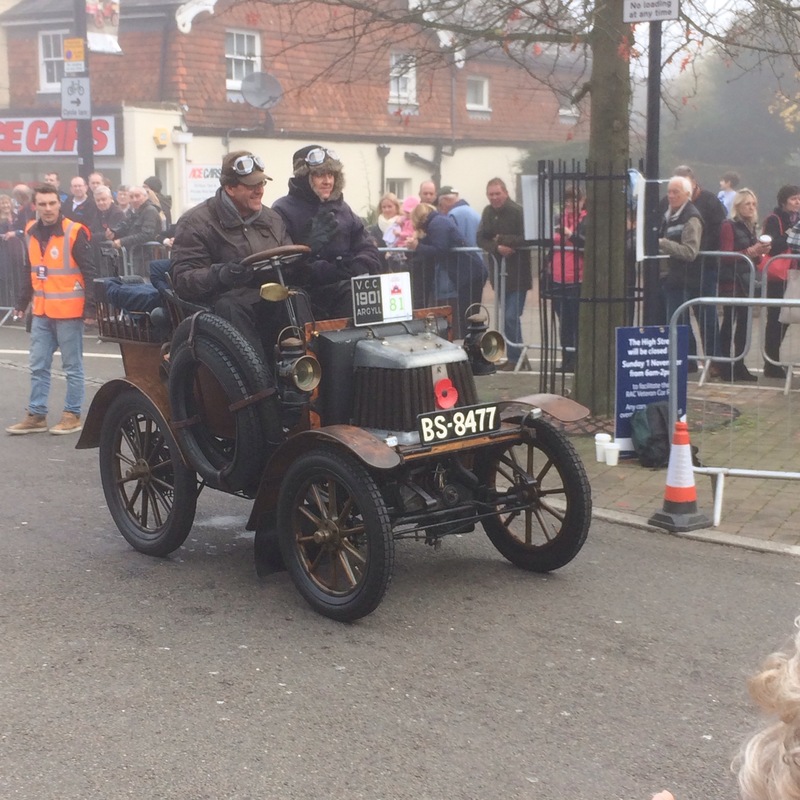 Instead it was stopping on the outskirts of Crawley at a Honda dealership. 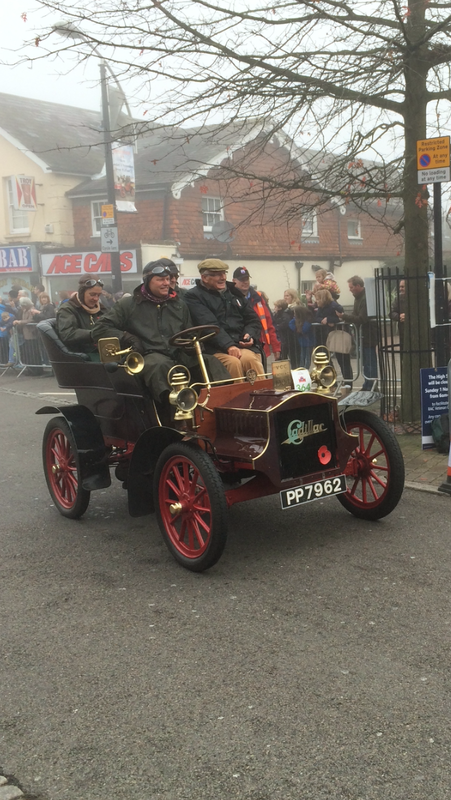 From there the cars would drive around the edge of Crawley bypassing the High Street. The local Council, MP and residents were naturally upset. I asked the RAC (who organise the run) what had caused the change. The cynical view of certain observers was that Honda as a sponsor had demanded more for their sponsorship – or had upped the level of their support. This was not denied and it was argued that without sponsor support the run could not happen. Given that even the cheapest cars on the run now sell for over £60k I am not convinced that additional money from sponsors is that necessary. 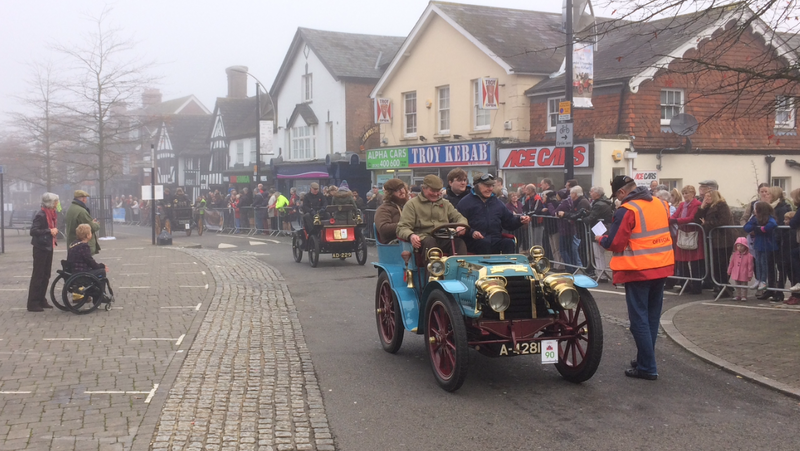 Putting the entry cost up would surely not deter too many of the well heeled owners for whom the annual run is often the only time they drive their veteran cars. 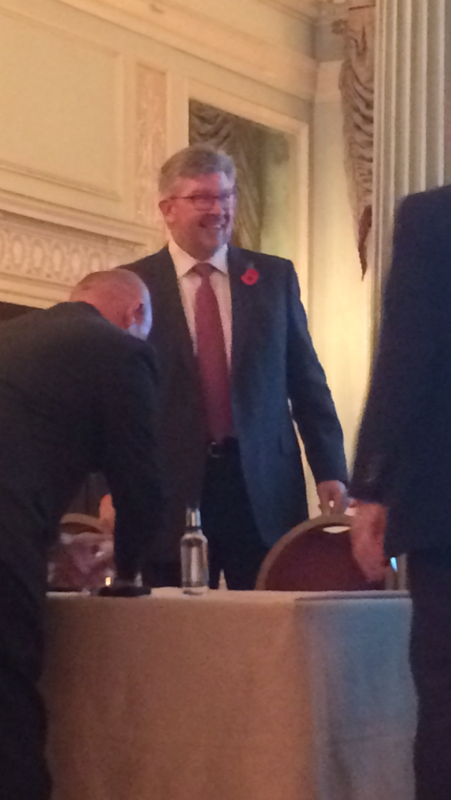 The RAC also argued that the facilities at the George Hotel were no longer adequate for the crews. Harrods, a new sponsor last year, had provided the catering from a gazebo and now presumably wanted better facilities. 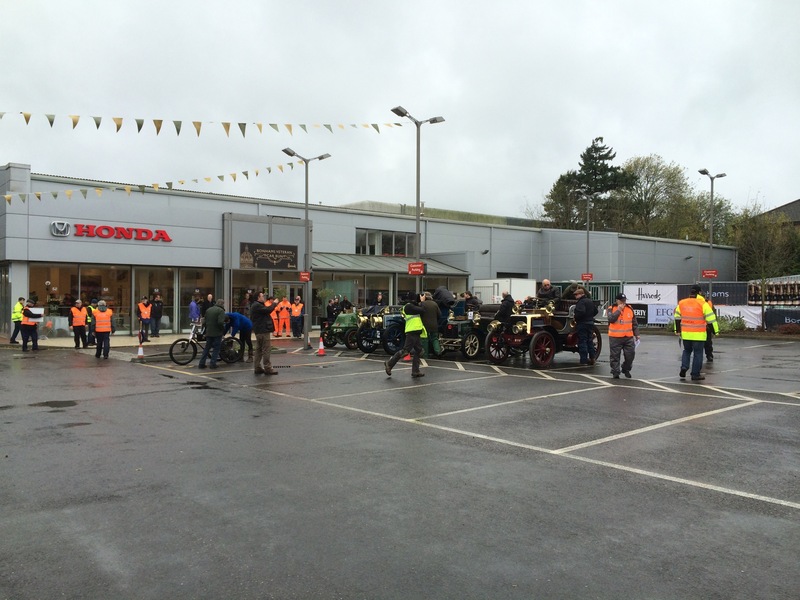 This year they were able to take over all of the inside of the Honda showroom and provide covered seating for the crews. Given how poor the weather became on the day I expect this was welcome. 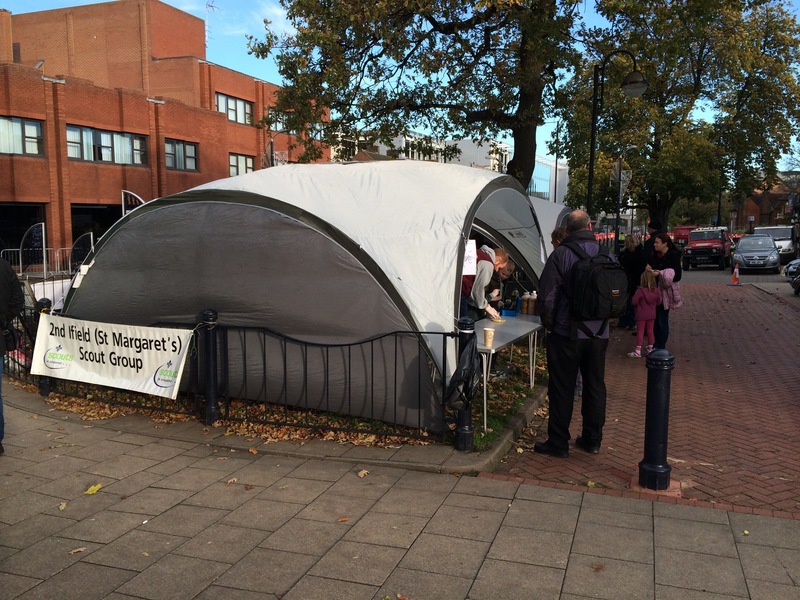 But couldn’t a better temporary facility have been provided in the High Street? Another argument put forward to support the change of location was the need for undercover areas for people to work on their cars. Again I can see why that would be vital but the fact is a garage was always made available to crews in need of help on the approach to the town. Crawley half way stop 2014. Not quite the Power of Dreams.. 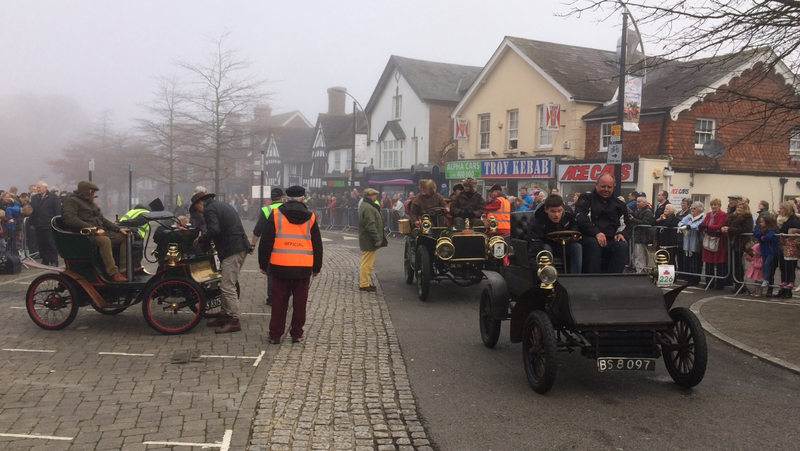 When I dutifully made my way to Crawley on the Sunday morning for the Run the net result of the changes to the stop off point were worse then I had expected. 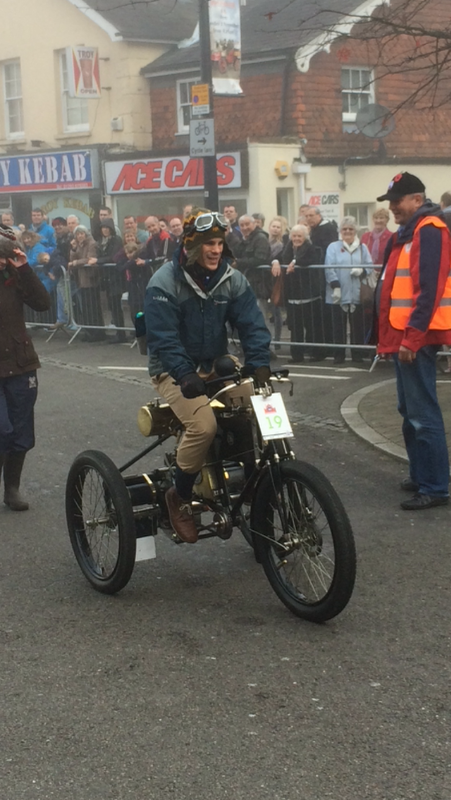 There was very little space for spectators and as a result numbers were substantially down. The Scouts were no longer able to sell their tea and bacon sandwiches and as a result a vital piece of engagement with the community had been lost. More practically, there were no refreshments at all for the spectators who were not permitted to visit the Harrods indoor facility. I met a party of Dutch and Belgian tourists who travel to the UK every year to see the run. 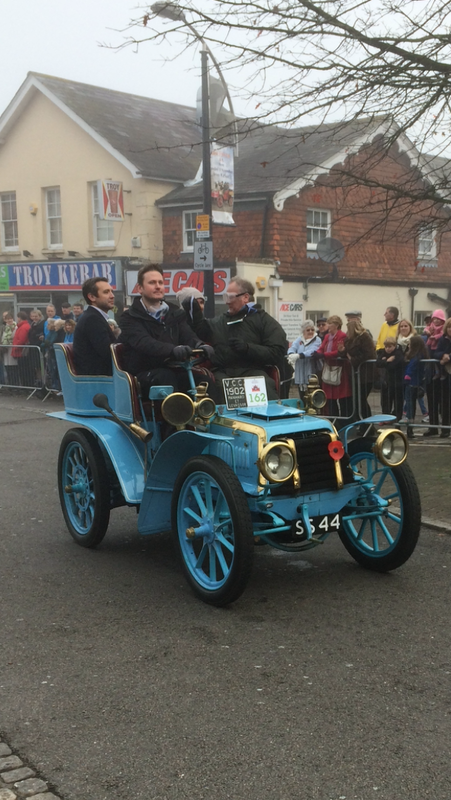 They were very disappointed with the change and said they would not be coming back to Crawley. 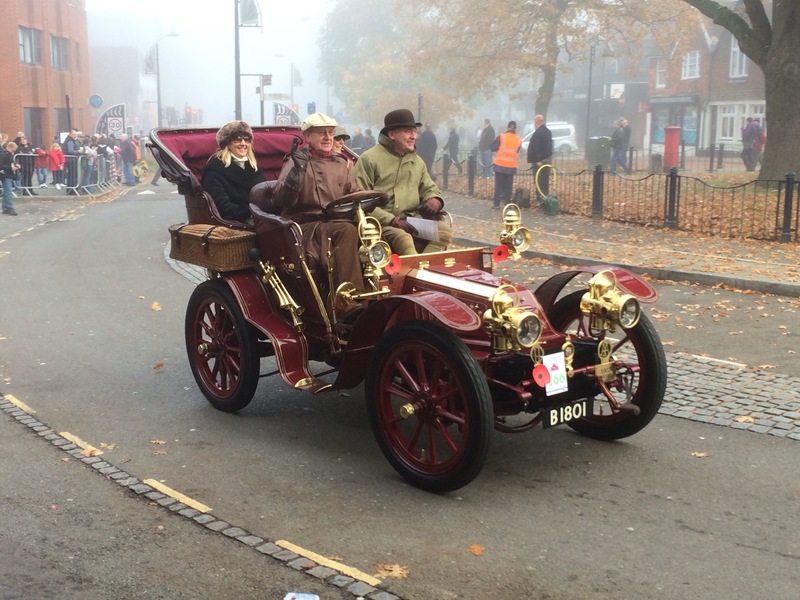 Since they had all stayed the night in a hotel in the town centre, the change will therefore also have a tangibly negative impact on the financial rewards the Run brings to the town. 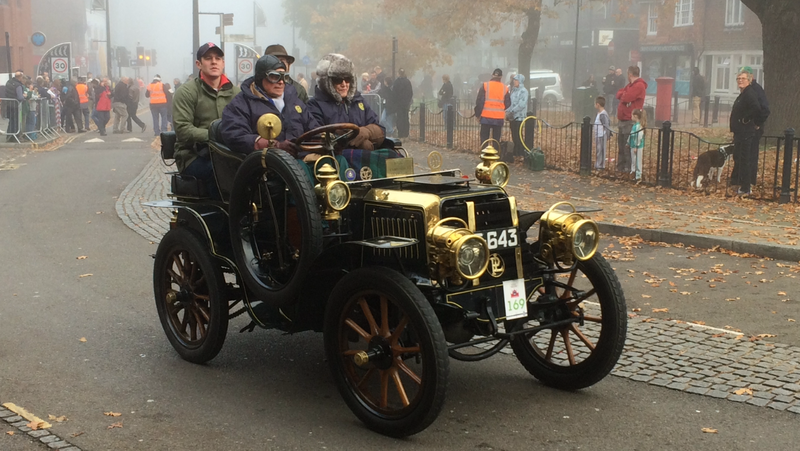 The overwhelming feeling amongst spectators I spoke to was that the London to Brighton Run appeared to have turned its back on Crawley. 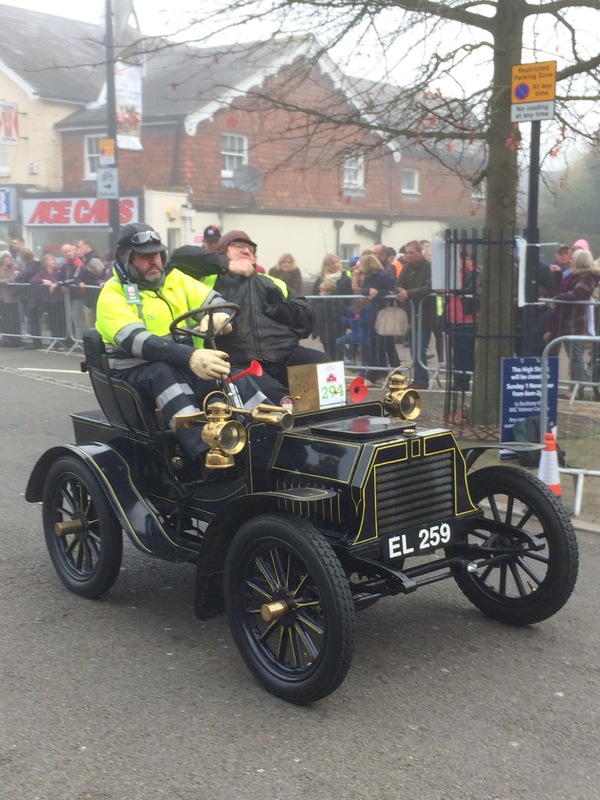 The veteran car run does cause inconvenience to locals as roads are shut and traffic delayed and diverted. I would not be at all surprised if the council in Crawley decide to withdraw their support for the Run given the Run seems to have withdrawn its support of Crawley. 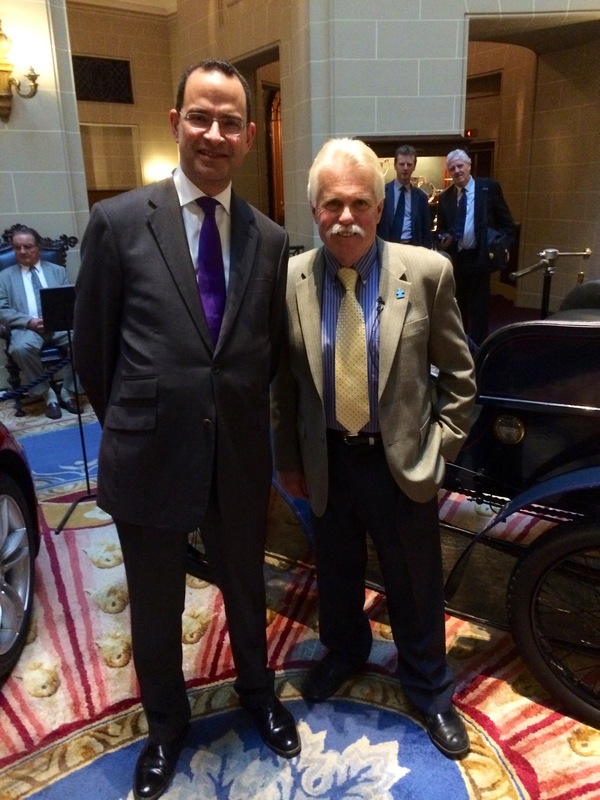 Whilst attending the RAC Motoring Forum I had the pleasure of bumping into Wayne Carini of US TV show, Chasing Classic Cars. 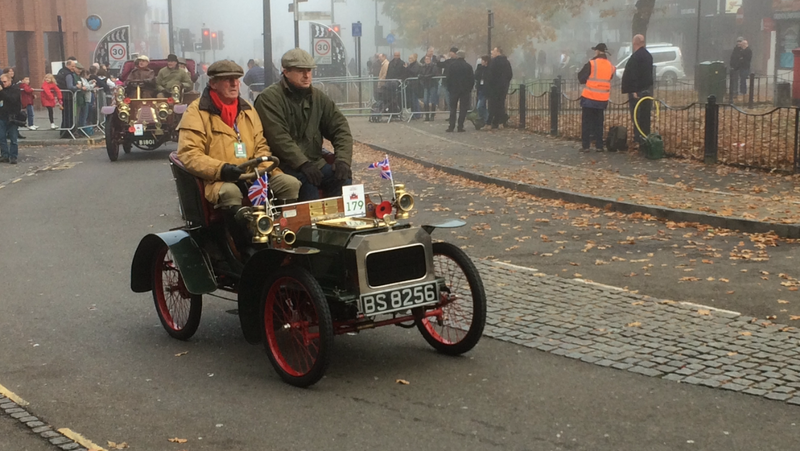 Wayne was in the UK to take part in his first London to Brighton veteran car run. 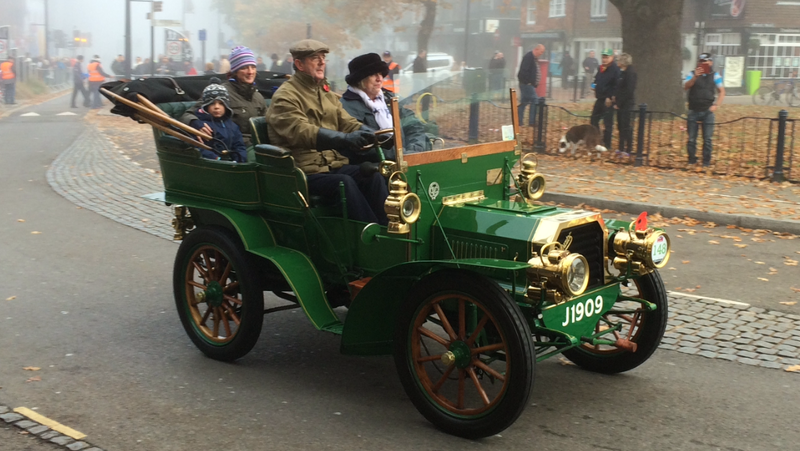 Accompanied by a camera crew, he was going to be driving an early Ford for an episode of the new series of his show. We had a good chat about his excellent show and the challenge he was likely to face getting his car to Brighton. A thoroughly pleasant guy, I look forward to seeing how he got on. With the excellent Wayne Carini.